Situated in the hamlet of Inverugie where property is most sought after is this 8 BEDROOM DETACHED HOUSE SET IN APPROXIMATELY 3/4 OF AN ACRE OF GROUND. The house was built in 1908 and has many of the original features including shutters on the windows and fireplaces in every room on the ground floor. The current owner has made some changes to the house and there is now a sizeable Conservatory. Situated in the village of Boddam with breath-taking open views of the North Sea and Boddam lighthouse is this impressive six bedroomed traditional build detached villa with double garage and large garden. The property has a light and airy feel to it and light floods in through a large range of doors and windows. Situated at the edge of the village of Cruden Bay with open country outlooks is this four bedroom DETACHED BUNGALOW SET IN APPROX 1/3 OF AN ACRE OF GARDEN. The property benefits from oil fired central heating, double glazing and will be sold with all fitted floor coverings, curtains, blinds and light fittings. There may also be the opportunity to buy some furniture by separate negotiation. Situated in the ever popular village of St. Fergus is this extremely spacious six bedroom EXECUTIVE DETACHED VILLA WITH GARAGE. All rooms are of good proportion and offer excellent family accommodation on two floors. The subjects benefit from gas radiator central heating, double glazing and will be sold with all floor coverings, curtains, blinds and light fittings. St.
We are delighted to offer for sale this stylish and elegant four bedroom DETACHED VILLA WITH GARDEN AND GARAGE. The property benefits from gas central heating and has a new boiler, double glazing and will be sold with all fitted flooring, blinds and light fittings. The house is in immaculate condition and viewers will be impressed with the layout and spaciousness of the rooms. Situated in a quiet cul de sac is this three bedroom/three public room DETACHED BUNGALOW. The property benefits from gas central heating, double glazing and will be sold with all fitted floor coverings, blinds, most curtains, pelmets, light fittings and tv in the Kitchen. Situated in one of the most prestigious new build estates is this attractive four bedroomed DETACHED VILLA WITH GARAGE. This is a Fullarton style Scotia home and is built to the highest of standards and has oak doors and finishings and would make an ideal family home. We are delighted to offer for sale this well maintained THREE BEDROOM DETACHED BUNGALOW WITH GARAGE. This property benefits from oil fired central heating, doubleglazing and will be sold with all floor coverings, light fittings, blinds and most curtains. This property has very spacious rooms and of particular note is the sun porch looking out into the side enclosed garden area. 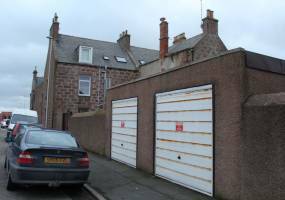 Situated in one of Peterhead’s most popular streets is this three bedroom SEMI DETACHED GRANITE VILLA. The property benefits from gas radiator central heating, double glazing and will be sold with all fitted floor coverings, blinds and light fittings. All rooms are of a good proportion and offer first class accommodation on two floors. 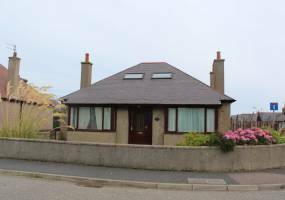 Situated in a quiet residential area in the village of Longside is this 4 bedroom DETACHED VILLA WITH CONSERVATORY AND GARAGE. The property benefits from electric central heating, double glazing and will be sold with all fitted floor coverings, blinds, curtains and light fittings. All rooms are of a good proportion and viewers will be impressed with the layout and spaciousness of the house. Situated in a quiet residential area of town close to all amenties including a primary school , academy and local shops is this traditional 4/5 bedroom SEMI DETACHED HOUSE WITH GARDEN. The current owners have renovated the house to a high standard, yet retaining the original character of the property. Situated in the town centre within walking distance of all amenities is this SIX BEDROOM END TERRACED DWELLINGHOUSE WITH DOUBLE GARAGE AND GARDEN. The property benefits from gas radiator central heating, double glazing and will be sold with all fitted floor coverings, blinds and light fittings. Situated in a popular well sought after residential area is this TWO PUBLIC/THREE BEDROOM DETACHED VILLA WITH LARGE WELL ESTABLISHED GARDEN AND GARAGE. The property benefits from gas radiator central heating, double glazing and will be sold with all fitted floor coverings, light fittings, blinds and most curtains. Situated on a popular street close to the town centre is this 4/5 DETACHED VILLA WITH GARAGE AND GARDEN. The house benefits from gas central heating, double glazing and will be sold with all fitted floor coverings, blinds and light fittings. This would make an ideal home for the growing family with plenty of living space on the ground floor. Situated in the new Scotia estate is this immaculate 4 bed SEMI DETACHED VILLA WITH GARDEN. The property benefits from gas radiator central heating, double glazing and will be sold with all fitted floor coverings, curtains, blinds and light fittings and some furniture may be available by separate negotiation.